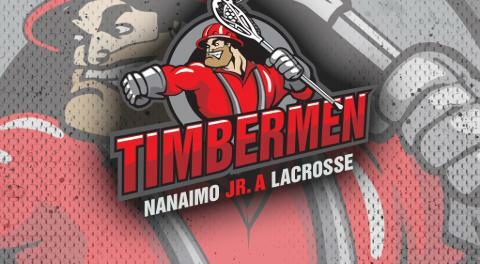 The Timbermen have been a much better team than their record would indicate to start the season. This past week Nanaimo lost all three games, but they were extremely competitive outings against Victoria, New Westminster and Burnaby. In Tuesday's 10-8 loss to the Shamrocks Colton Lidstone led the way with five points and Colin Jeffrey made 43 saves in net. Saturday against the Bellies Colton Lidstone and Ryan Sheridan both had four points in a 13-8 loss, with Dakota Kasper stopping 28 shots. Then on Sunday with a late arrival in Burnaby the Tmen just about came all the way back from down 8-2 before losing 11-10 to the Lakers. Captain Jake Mickelson had seven points while Thomas Vaesen had six. Jeffrey stopped 36 shots on the day. Coach Dave Bremner likes the progression of his team despite the results and praised the work ethic of the players this week. This Saturday Nanaimo hosts the Poco Saints at the NIC at 4:30pm, then they travel to Delta to play the Islanders Sunday at 5pm.